When you see a fire, your natural instinct is to run away from it, as far and as fast as possible! Things are different for firefighters. They have to face the danger in order to save lives. But running into buildings that are on fire, is only part of the job. 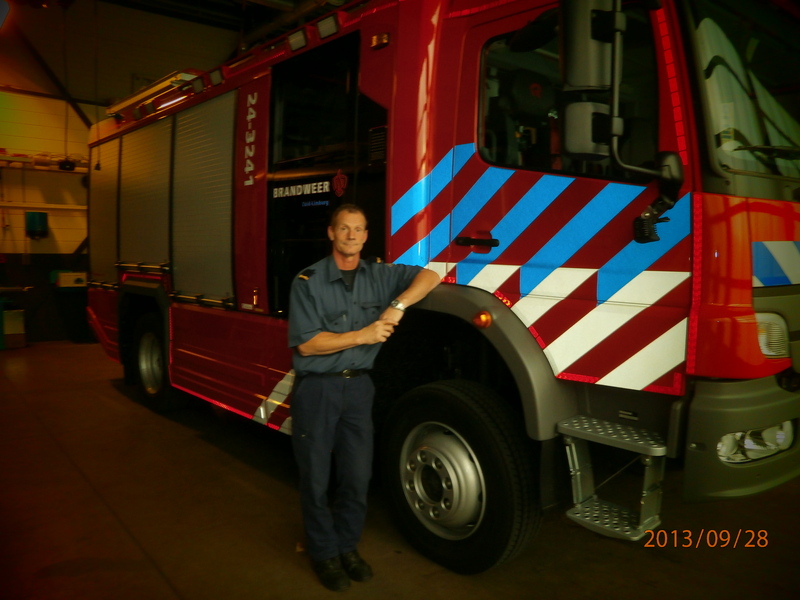 Therefore I’m glad chief John Widdershoven of the firefighter unit in Brunssum was kind enough to talk to me about what it means to be a firefighter, chasing exotic animals and why you seldom see an job advert in the newspapers for the fire department. So what does a day on the job look like on average? 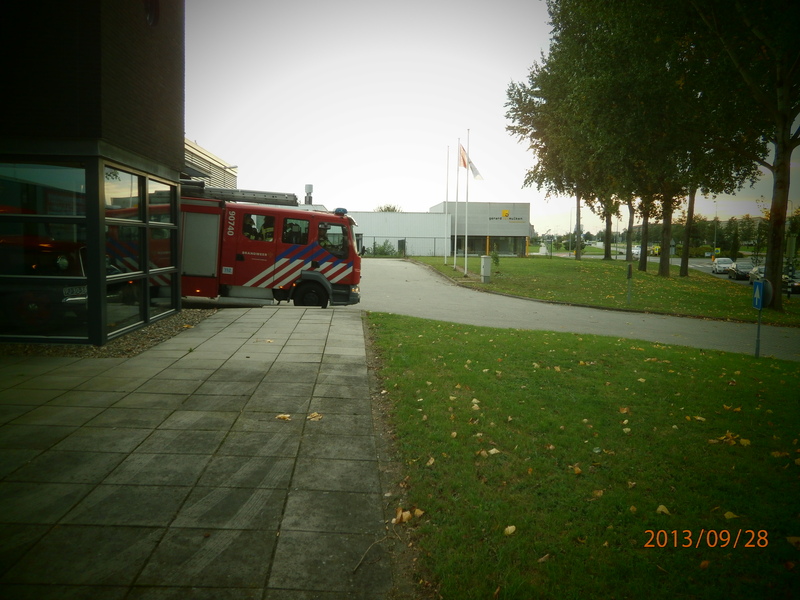 Just to be clear: at this base the firefighters don’t lounge around until the alarm goes off! There’s a schedule which resembles the daily activities of many people, such as training, cooking and doing chores. They are always ready to spring into action in case the alarm goes off. “That’s why exercising is also part of the daily routine, because everyone needs to have a certain level of physical fitness to be able to do this job properly,” John clarifies. After a day of hard work, training and tasks, the whole team cook and eat together around 6 pm. Afterwards they for instance watch TV or work on their car, because there is a lot of technical knowledge among the team. Around 11 pm most of them go to bed. I thought everyone would sleep with their firefighter uniforms on, but that’s apparently not necessary. 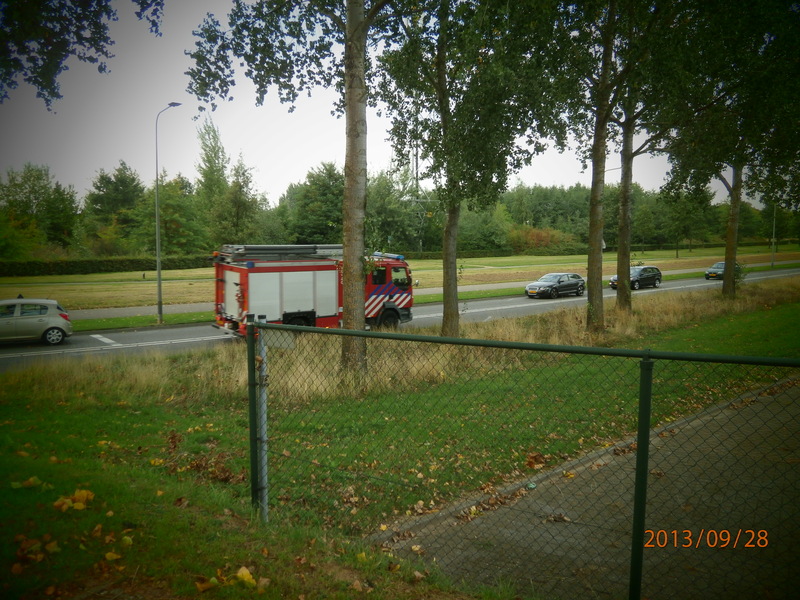 Though they do have to be on the street in their fire truck, approximately one minute after the signal comes in. When they have to respond to a real fire alarm, the causes are very diverse. For those of you who are unfamiliar with my country, the Netherlands are quite ‘infamous’ because of the (in general) relaxed attitude towards drugs. I’m totally against it, but a few fellow countrymen grow their own drugs at home. “Those drugs laboratories are often the cause for domestic fires. Of the annual 50 to 60 domestic fires (on average) a pretty large part has to do with hemp plantations,” John informed me. After the interview John showed me around the base. Eventually the tour was coming to an end, but before I got the chance to properly say goodbye, the alarm rang in the entire building. The signal for ‘duty calls’. John shrugged and smiled. “These things happen,” he said and at the same time the other fire fighters came running out of the kitchen, bolted down the stairs and I had no choice but to run after them. John managed to show me the way out in the chaos and I went outside with my camera, just in time for picture of the unit pulling out of the base in their fire truck. The perfect ending for an interview about this ‘fiery’ profession! Categories: Dream Jobs, Interviews | Tags: dream jobs, fire department, Firefighter | Permalink. but what can I say… I procrastinate a whole lot and never manage to geet anything done. Hi there and thank you for your kind words! I’m planning on writing more articles about people with dream jobs soon, so if you check my blog regularly, hopefully there will be more articles you enjoy!